For the kiss and tell information, watch the fan interview video below! Thanks to @theglampire for this view of the Glambutt! Adam Lambert opened his Musikfest concert like few other musicians to play the Bethlehem festival in recent years — with bright lights, crazy costumes and a stage full of dancers. Speaking of “Idol,” Lambert’s lineup includes fellow 2009 ‘Idol’ contestant Allison Iraheta as one of his opening acts. The fiery redhead lived up to her hair color, belting out six songs and sounding strong on each one. Iraheta was a much better vocalist than the show’s other opener, Orianthi, who at least made up for it with her amazing guitar playing. While Iraheta has a powerful voice, she doesn’t push it to yelling, as Orianthi did more than once. Orianthi’s great guitar playing was assisted by some more great work by bandmate and Upper Mount Bethel Township resident Brian Chiusano. As a fan of Lambert’s from “Idol,” I was originally disappointed he was leaning more toward dance songs than showing off his amazing voice. And while it was his slower songs that highlighted his voice better, his fast songs really made the concert for both me and the fans. With four costume changes in the first 11 songs, he’s definitely into the whole putting on a show part. 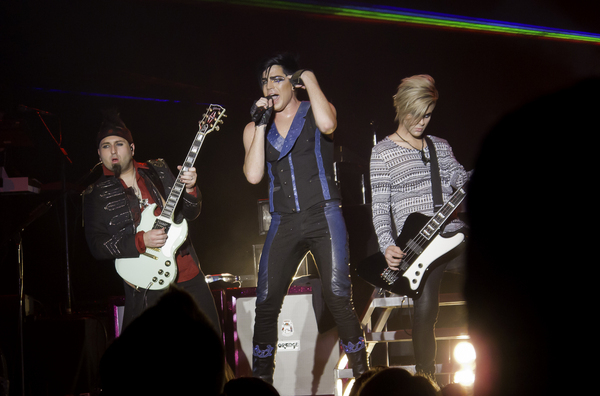 VH1 – http://bit.ly/kgJ2 Adam #7 today! But even for those who think Lambert is largely an acquired taste – perhaps a few male companions of the largely female crowd were the only ones – there also was a good deal at which to marvel. Lambert has shown considerable growth in the year since “Idol.” He has learned how to seize a stage rather than bowl it over, and has become a better singer by adding nuance. While he pleased his fans with an occasional wild wail, his best songs Saturday were the quieter ones sung during an acoustic mid-section. 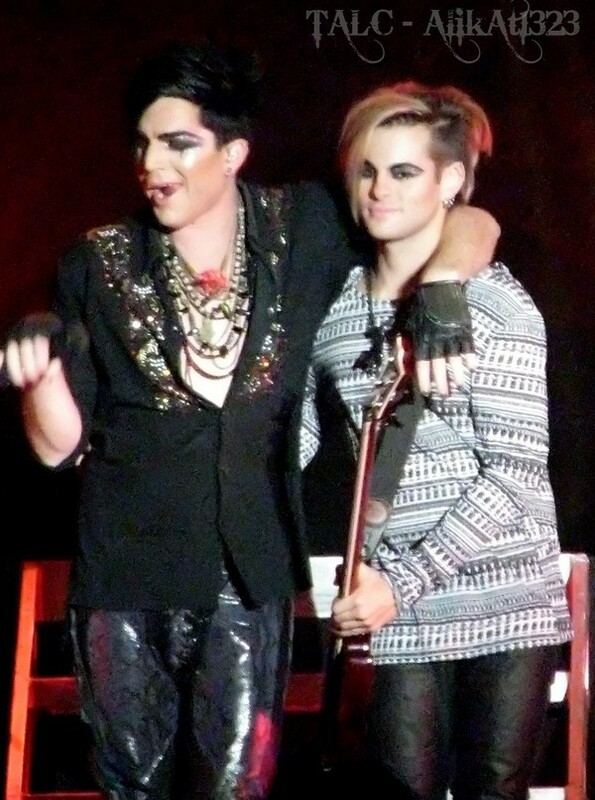 Adam Lambert & Neil Visit The City of Brotherly Love! A new feature has been added near the bottom of the page….TWEET… if you have enjoyed this post, please take a moment to tweet this to your friends! Thanks so much! Information/Resource Pages- Some of the Most Visited! “Uncle Soy Sauce” – Monte Pittman Rocks! All about Monte! Best Comment of the Week Contest! One more day… comment on any post! 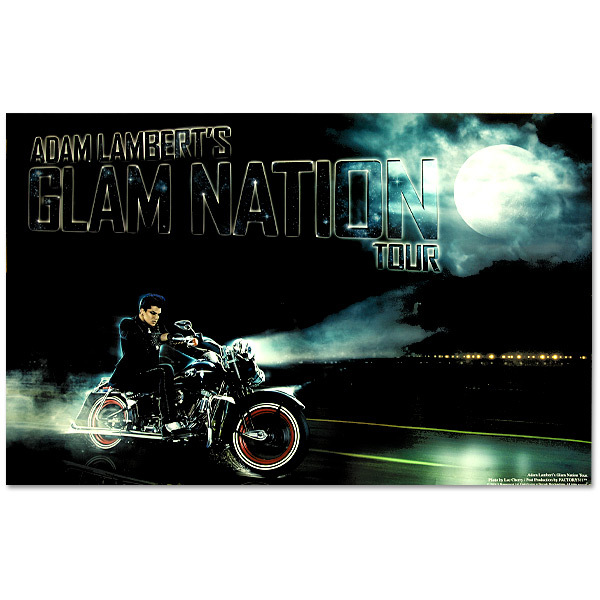 Going to feature a comment of the week and the poster will get a small Adam related gift from me…really! The contest ends on Sunday at 1:00AM EST! Leave a comment… give us your opinion and feedback! Today: 589,400 (+3550) Way to go bb! Please rate this post and/or leave a comment and tweet to your friends. Thanks! Like your new look GB, very slick. And NO, life isn’t fair. Because if it was I would be a 21 year old androgynous elf gay man. Dammit. Thanks again for the blog! I was at the Bethlehem show last night and Adam was incredible as always!!! I could watch his show over and over again! You’re the best! I can tell you put sooo much work and time into this post. Just want to tell you it is much appreciated. Thanx for the reminders of a fablous show!!! 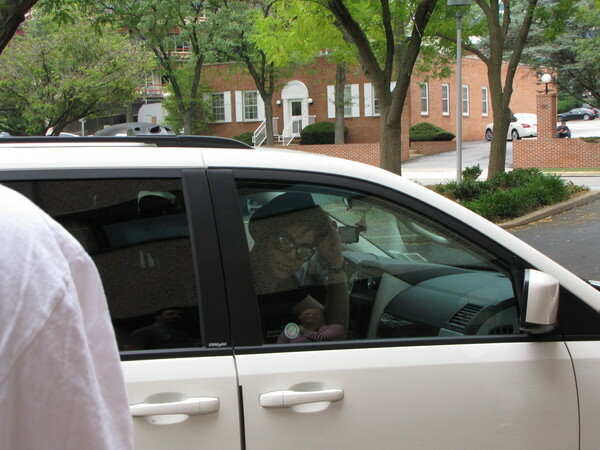 I finally got to see him and I couldn’t wait to get here and see your “rerun”! It helped to accept the fact that it’s over and I may never get that chance again! It was worth all we had to go thru to get there…what a mob scene. I never walked so much in my life. But I actually met some of “my people” who feel the way I do about him and realized I’m perfectly “normal”!!! Hope some day to meet you Gloria and express my gratitude in person. 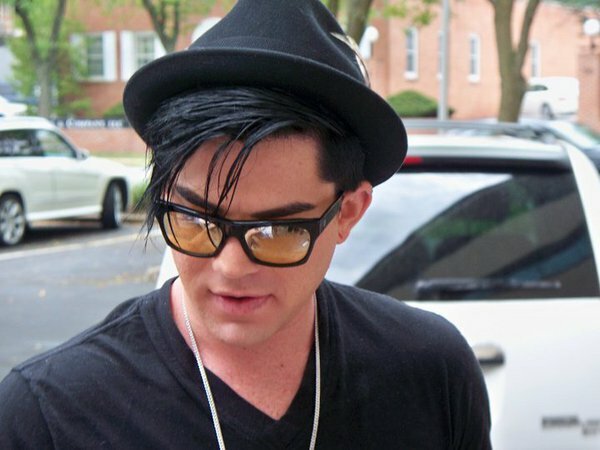 Lets lose the pics of Adam in the Details article – ewwwww! I’m with you on that one ! 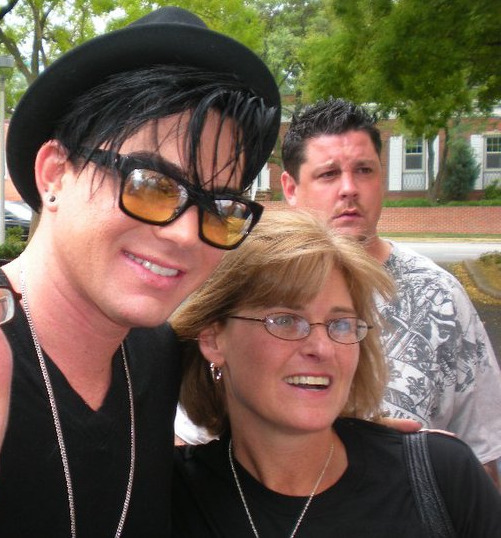 Adam & a girl looks totally weird .. he’s so not feelin’ it ! Always impressed by all the good stuff you assemble. Many thanks for the great job you do; unbelievable! Haha! I happen to like that one… but its the picture on a good remix so what can I do? Just checking in with everyone to let them know that I did my share of Voting today! Thanks for all the Recaps, Pics, Audios, and Videos! I really enjoy them . . . since I can’t be there in person! 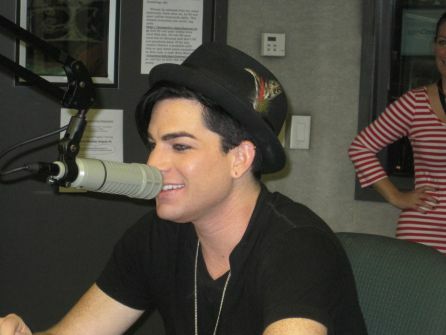 I especially like the Radio Station Interviews! If he ever needs/wants any Picture/Video Time . . . I have two (2) Kodak 8.0 and 10.0 Mega Pixel Digital Cameras and a Panasonic DVD Video Recorder as well as Corel Photo & Video Bundle! 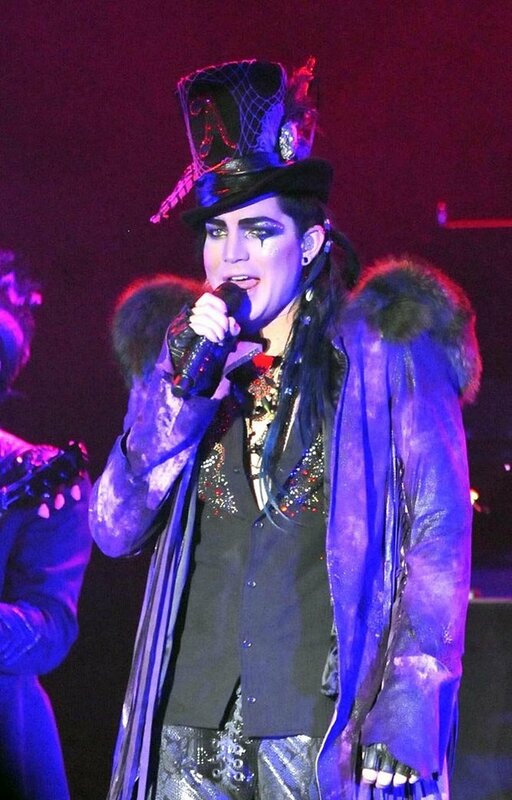 I would shoot Sir Adam Lambert for FREE! Just to have him in my Lense . . . would be payment enough! He is starting to make my head spin . . . and I’m not even drinking or doing drugs! He is so addictive! If that is really Sir Tommy Joe’s Dad’s Shirt . . . it is adorable on him! That is a very good way to keep their Spirits connecting! We did that when my Grandmother passed on . . . all us Girls wore her T-Shirts, Blouses, and Jewelry! It helps to fill the void and keep her close! Well, I guess I should be getting my Lambert Mirror, Lambert Disco Ball, and Lambert Dog Tag Choker this week! Can’t wait to see the Choker! I would have liked to see more Concerts, but I’m having some problems with some of the starving Real Estate Brokers here in California! I’m trying to get a Friend into Escrow and we have written up seven Offers and none of them have been shown to the Seller(s)! I have filed Complaints on three of them and have put a hold on the other four for now! Maybe we will write up some Offers this week! I will keep my fingers crossed! In the meantime, one of my Branch Offices has an Escrow on a newly built home closing in another month I guess! I will buy some more Merchandise and make some more DonorsChoose Donations with the money from this Escrow! My other Branch Office is working with another Buyer and is trying to get them into a Loan right now, so that I can get them into an Escrow! 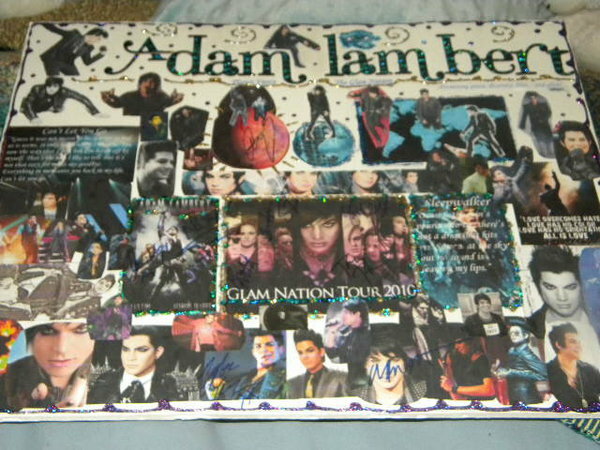 Again, if this one closes, I will buy some more Glamily Stuff and do some more Donations in their name! I have an Interview tomorrow morning with a Power Broker to help him write up Offers part-time on his Cash Only Purchases! This could be educational and financially rewarding for me . . . again . . . I will buy some more things and make some more Donations in their name! Of course, a Concert would be nice and we shall see! I have another Interview with an old Friend of mine on Thursday regarding a Product/Service Company that does Business Globally and pays you to fly Everywhere! Can’t wait to see what this one is all about . . . since I would love to do some traveling! Also, I need to study for my Life/Health/Ethics Insurance Exam this week! Sure hope more BPOs come in tomorrow and the rest of the week! Well, enough of me! Sure wish I was at a Glam Concert rocking out right now, but I guess I have to be in another Realm! You guys get all the fun! 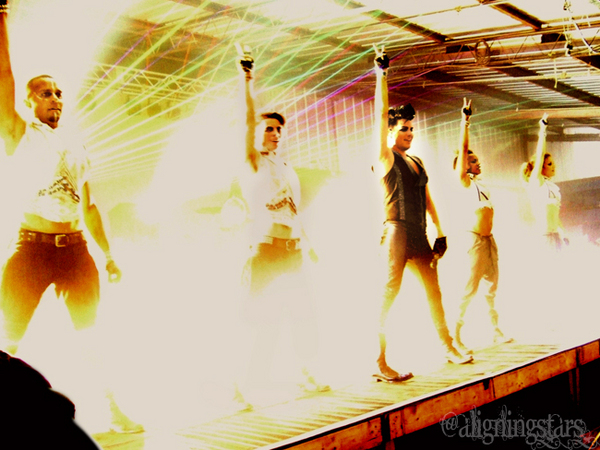 Give my love to the Glamily! Stay close and sticky sweet!